Transform your beloved vintage and antique finds into beautifully functional pieces. 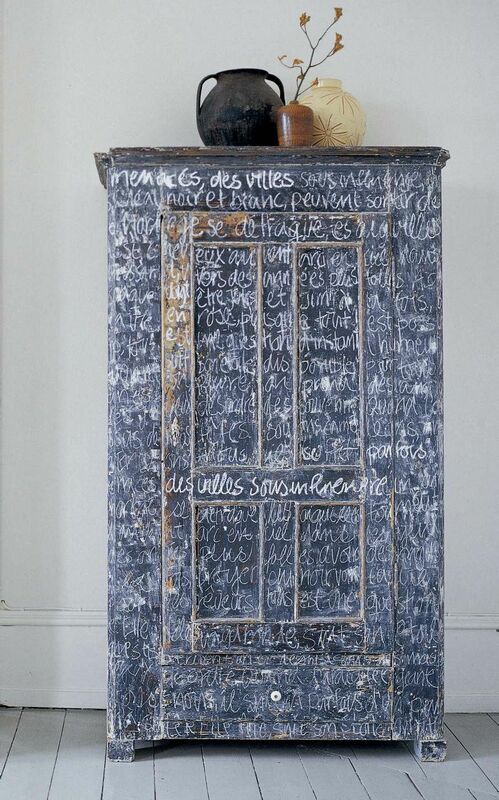 The homeowner turned this ordinary piece of furniture into art with a simple coat of blackboard paint. For an added touch, she chalked scripted words all over the outside. DECLUTTERING FOR THE NEW YEAR SHOULDN’T MEAN MAKING SACRIFICES OR TOSSING OUT BELOVED ANTIQUES. Sometimes all it takes is repurposing unused collections to make them a bit more functional. 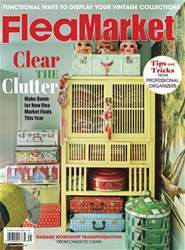 In her book, Flea Market Style, author and stylist Emily Chalmers provides inspiration on how to breathe new life into old flea-market finds.